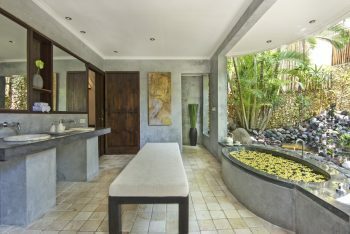 Enjoy the luxury of huge stone jacuzzi bathtubs in these beautiful villas. 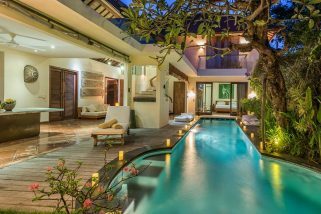 Picturesque garden balé pavilions and comfortably cushioned sun loungers are thoughtfully positioned to soak up the tropical vibe in Villa Kubu’s Premium Spa One Bedroom Villas, which are so me of the finest and most luxurious in Seminyak. 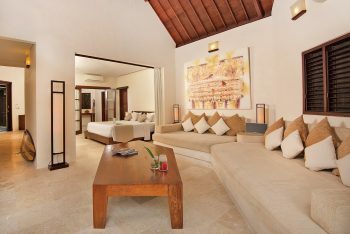 Lounges are deliciously air-conditioned, with garden views revealed through floor-to-ceiling glass doors. 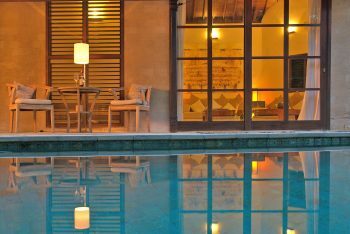 Semi-outdoor dining areas provide an atmospheric alfresco experience, perfect for candle-lit dinners served from the villa’s well-equipped kitchen by Villa Kubu’s attentive staff. Billowing drapes enclose comfortable king-size beds, while fabulous ensuite bathrooms include the jacuzzi tubs amidst whimsical rock gardens, complete with trickling waterfall to lull you into a state of absolute serenity. 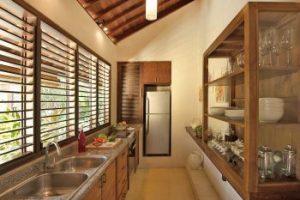 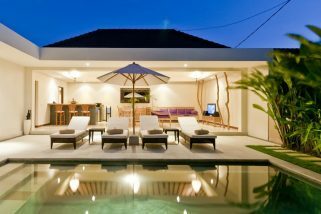 A fantastic tropical two-story villa in a prime location, Villa Ku Kecil is the answer to your vacation prayers. 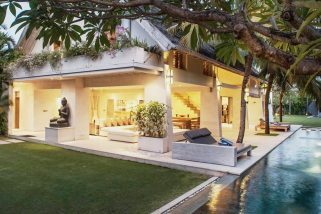 Elegantly decorated, and well-appointed with everything you need for a comfy stay, this villa features a shimmering key-shaped pool framed by a lush gardenscape.